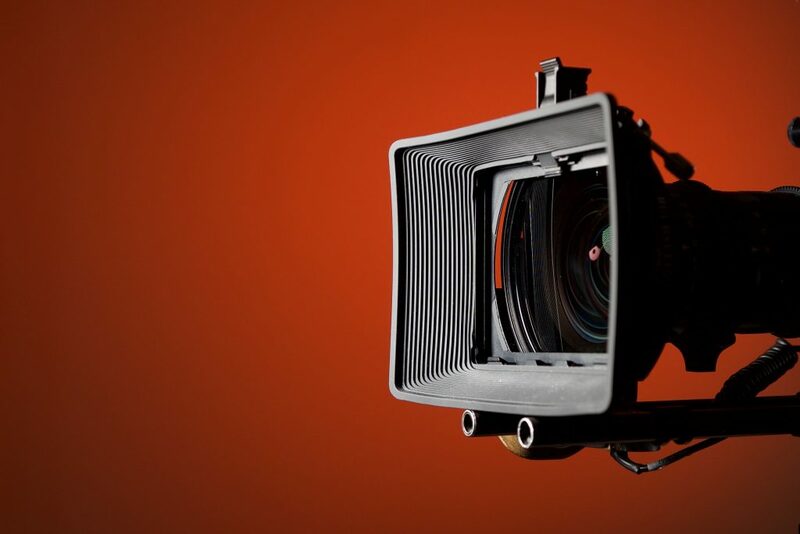 The Bright Tangerine Clash 138 is a lightweight matte box that allows you to use two filters as well as a 138mm round filter such as polarizer or diopter in a third stage. 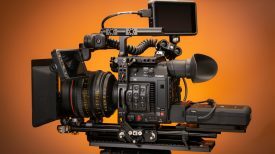 The Clash 138 was announced just prior to NAB 2018 and started shipping in July. I thought it was a good idea to take a lot more detailed look at this product. At first glance, the Clash 138 looks just like the Misfit Atom, but don’t let looks deceive you. The front of the Clash 138 is almost identical to the company’s Misfit Atom, it’s the back of the matte box where most of the changes have been made. The back of the Clash 138 has a larger opening (143mm) than the Misfit Atom (114mm), and this allows it to accept any 138mm round circular filter. 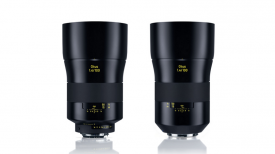 This would also allow for use with lenses that have a larger diameter than 114mm which a lot of the larger anamorphic lenses do. 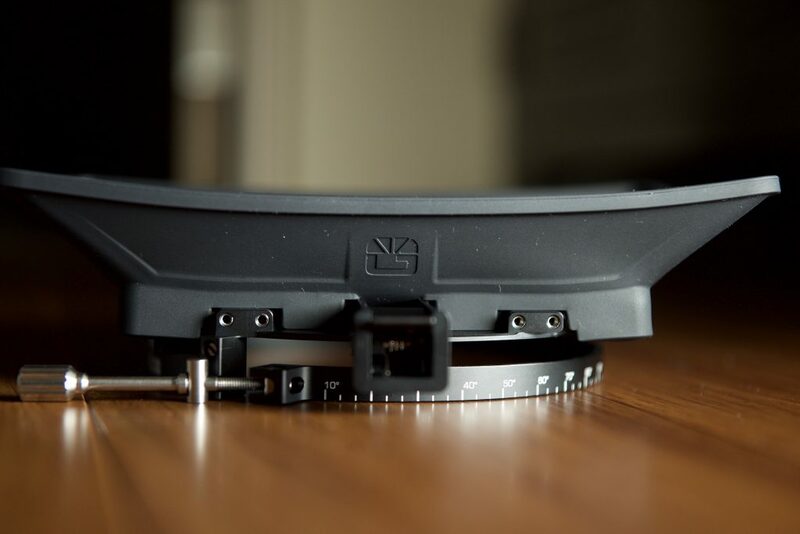 Just like the Misfit Atom, the front of the Clash 138 can accept two 4×4″ filters or two 4×5.65″ filters. If you do choose to use two filters, you will need to stack them. Bright Tangerine certainly has a strong appreciation of the British Punk group The Clash. The Clash 138 is not the first Bright Tangerine matte box to have name ties to the group. The Strummer DNA matte box is named after The Clash’s lead singer Joe Strummer. Misfit after The Misfits, the VIV after Viviene Westwood who many regards as the mother of punk and so on. The Atom matte box is probably named after the 1982 song Atom Tan. It’s unfortunate that The Clash recorded 139 songs and not 138. Why do you need a polarizer? 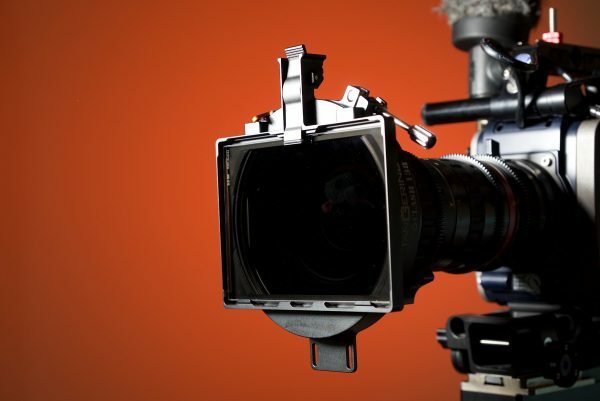 Polarizer filters tend to be one of those items that a lot of shooters tend to forget about, but they are a very essential tool for filmmaking. Light rays which are reflected become polarized. Polarizing filters are used to select which light rays enter your camera lens. They can remove unwanted reflections from non-metallic surfaces such as water or glass and also saturate colors providing better contrast. The effect can be seen through the viewfinder and changed by rotating the filter. The filter factor varies according to how the filter is rotated and its orientation to the sun. Getting rid of nasty reflections or glare is not something that can easily be fixed in post-production. Bright Tangerine certainly takes a lot of pride in the design and attention to detail of their products. The Clash 138 is no exception. Despite being a lightweight matte box it still feels well made and fairly well thought out. 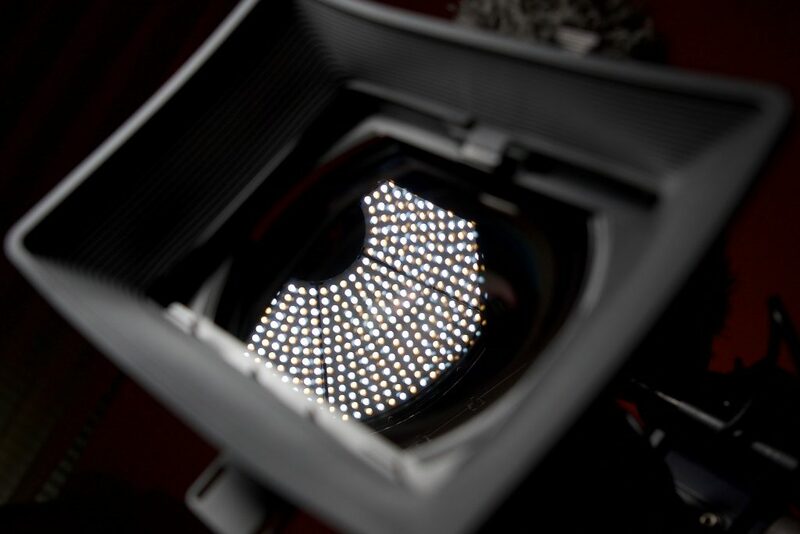 A circular filter can be secured inside the Clash 138, with no risk of it falling out whilst filming. I did, however, find that the getting a 138mm filter inside the Rota Ring was a little tricky and it’s not a super quick process. You wouldn’t want to be swapping different 138mm filters in and out. If you have multiple 138mm filters, you can buy additional Rota Rings and have one for each 138mm filter that you own. The 138mm filters are placed into the Rota Ring and secured by a small nut & bolt with an Allen key. This takes a few minutes to do so best to have a rota ring for each filter. 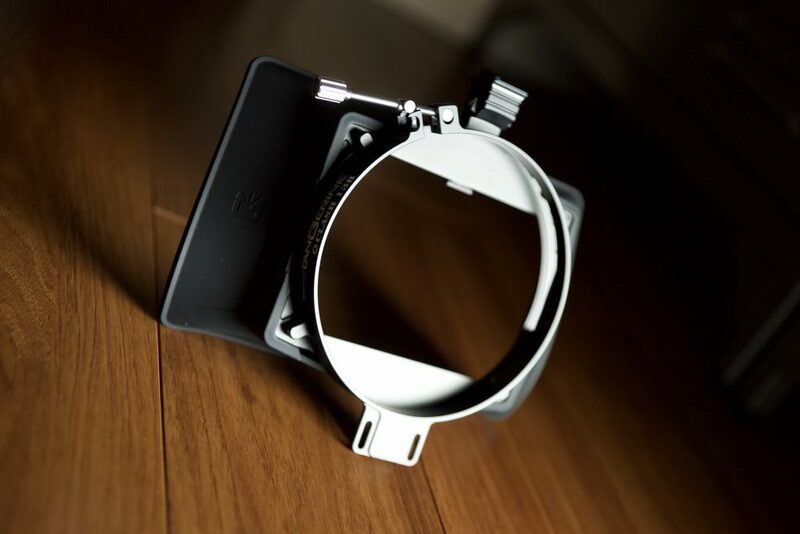 When no circular filter is being used, the Rota Ring can be removed to allow the matte box to clamp further onto the lens for a wider field of view. The Clash has a 143mm diameter lens attachment and is compatible with Bright Tangerine’s clamp-on rings, rubber donut as well as the Black Hole. The design is also nice as you can use the Clash 138 as a clip-on matte box even if you are still running 15mm rods. If you buy the optional 15mm LWS support bracket then you have the choice of either using the Clash 138 as a clip-on matte box or mounting it on rods. This is also useful if you are using the matte box with a rubber donut like the Black Hole that allows for lenses with travel. The only problem with using a rubber sunshade is that it is a magnet for dust. This dust then ends up on your filters. 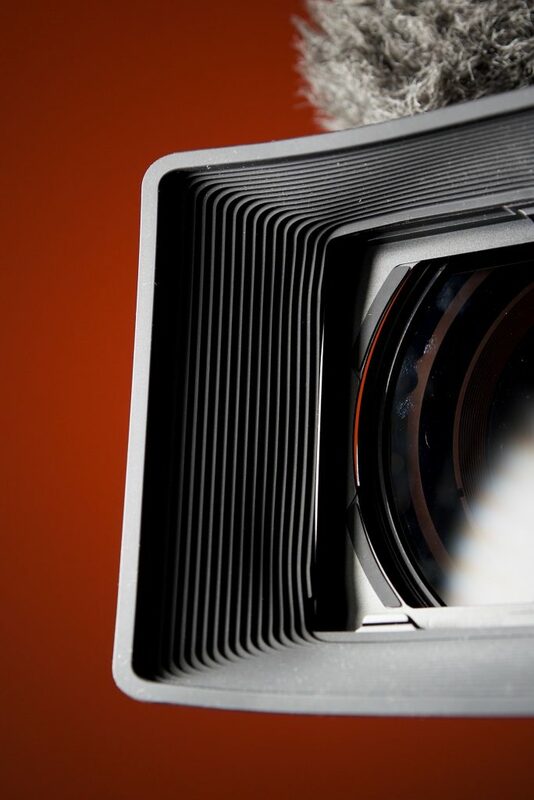 Rather than using a PV (4×5.65″) sized linear polarizer, which needs rotating stages for the angle of polarisation to be adjusted, the Clash 138 can use any mounted 138mm filter. The Clash 138 allows you to rotate your polarizer up to 120-degrees without undoing any screws or having to remove the filter. 120-degrees is more than enough to effectively use a circular polarizer as circular polarizers only require 90-degrees of rotation to achieve minimum to maximum effect. The filter sits inside a retaining ring. If you want to rotate your polarizer you just grab the lever and rotate it. 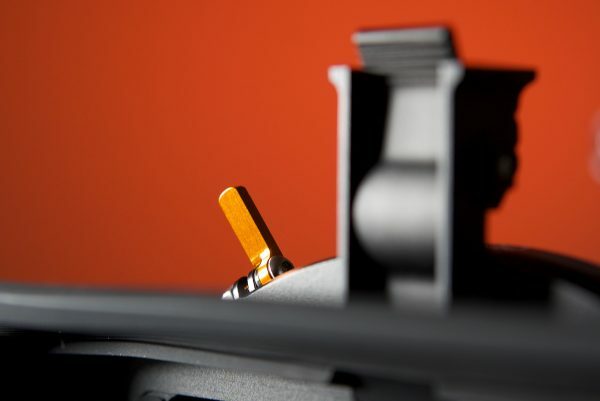 By having the lever you can move your polarizer into the correct position when shooting. I did find that the lever is a little bit stiff and doesn’t move around that smoothly. In the Clash 138’s defence, it doesn’t really need to move completely smoothly as you are just going to be moving your polarizer around into the position you need it before you hit record. It also needs to be tight enough so that it doesn’t move around during the shot. I can’t really see any situation where you would want to be turning a polarizer (when used by itself) while you were actually recording. Nobody wants to make their camera package heavier and we are always looking at ways of shedding unnecessary weight. The Clash 138 tips the scales at just 270g (9.5oz) which makes it perfect for use on gimbals and handheld work where weight is a factor. 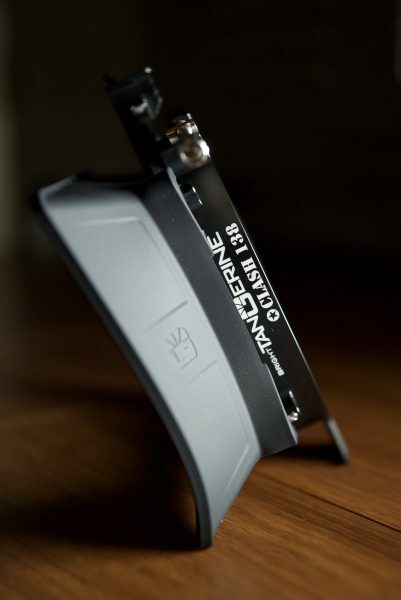 The fact that the Clash 138 is made out of Aluminum, Elasto Polymer and Stainless Steel and still tips the scales at under 300g is impressive. The weight, or lack of it, is what makes the Clash 138 a very appealing matte box, especially if you want to use 138mm polarizer or diopter filters. I can’t think of any other lightweight matte boxes that allow you to rotate a 138mm polarizer as well as run two other filters. If you want to save even more weight the rubber sunshade can be removed for an extra weight saving of 100 grams. This feature is also very useful when filming with drones or on a tracking vehicle, as it helps reduce wind resistance. 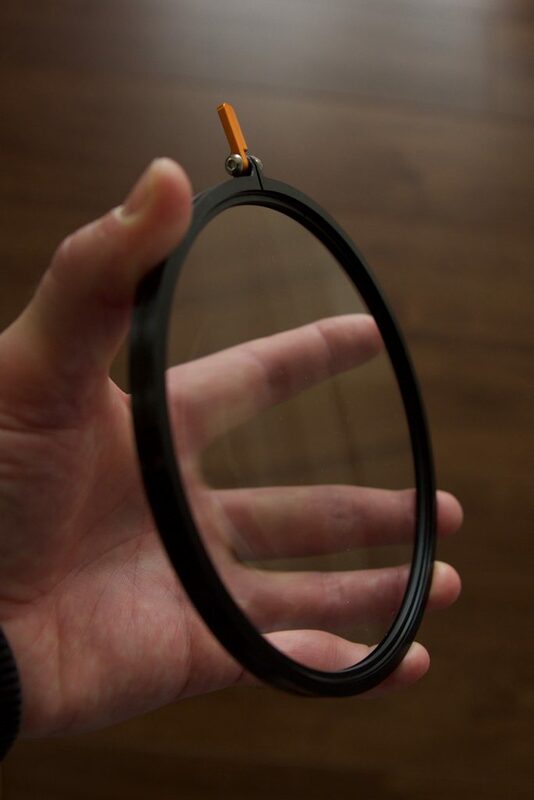 If you aren’t using a round filter, the retaining ring can also be removed to reduce weight. The ability to run up to three filters in a matte box that only weighs 270g certainly sounds like a parlour trick. The Clash 138 lets you mount up to two 4×4″ filters or two 4×5.65″ filters and a 138mm Circular filter. 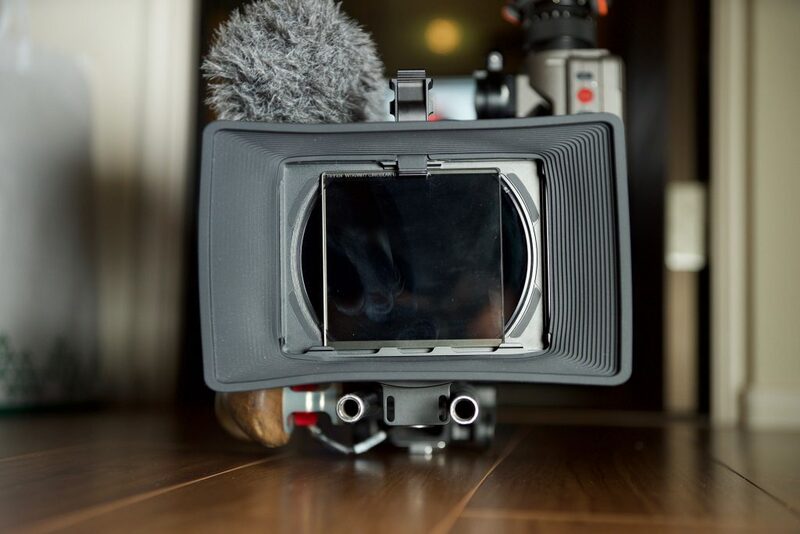 This gives you a lot of versatility and it’s great to be able to use a rotatable polarizer, diopter or split diopter in a lightweight matte box. I tried putting two 4″ x 5.65″ filters into the front of the Clash 138. The filters fit in securely, but you do have to be a little more careful when you are stacking filters than if you were just using one. A word of warning though, getting the filters in and out of the Clash 138 is quite a lot harder than it is using any traditional matte box. There is a lever that safely secures the front filter(s) inside the matte box, but they are quite tricky to get out and you will end up getting fingerprints on your filters. This is especially true if you are running two 4″ x 5.65″ filters. Unfortunately, the easiest way to remove the filters is probably to take the matte box off your lens or tilt your camera up on an angle. For fans of The Clash, Three Card Trick was probably one of the worst songs the band ever recorded in 1985. The nice thing about adding a rotatable 138mm polarizing filter is that if you combine it with a linear polarizer you can create your own variable ND. A combination such as this gives you up to 6-stops of ND and is a nice solution for cameras that don’t have built-in ND filters. I used a Tiffen linear polarizer and a Formatt Hitech Circular polarizer to create a variable ND filter. 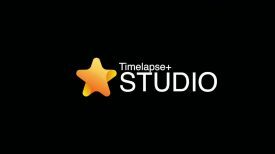 I found this worked well and was a nice solution if I wanted to have finite control over the amount of ND I was using on my camera, or when I needed to use ND on a camera that didn’t feature internal ND filters. The only downside is that the rotation of the polarizer is not that smooth and it is a little sticky. This would limit you from being able to do a smooth variable ND change while you were recording. 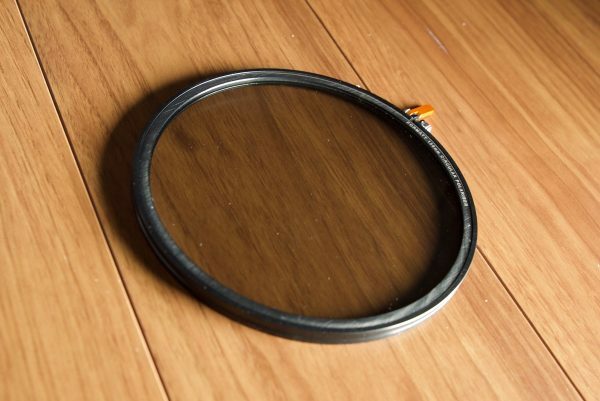 Diopter filters are just like a magnifying glass for your lens. 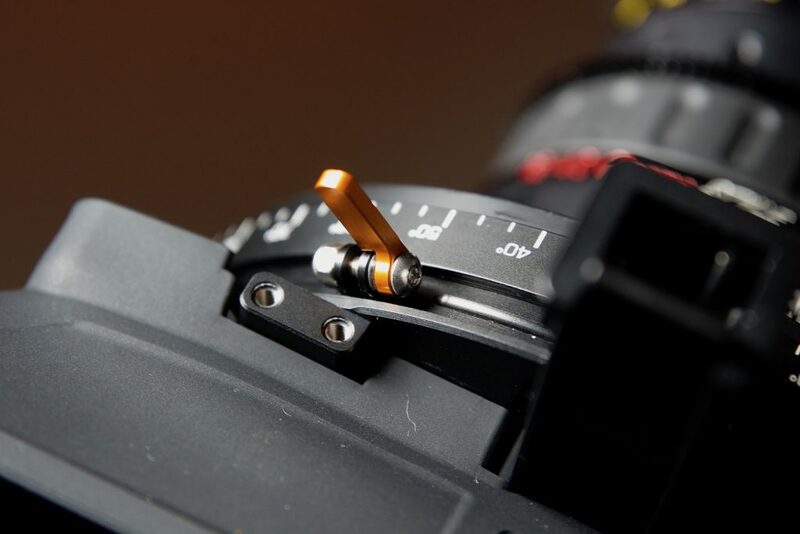 They also shift the minimal focus distance so you can get macro shots without having to use a macro lens. Diopters come in varying strengths with +1, +2 and +3 being the common strengths. 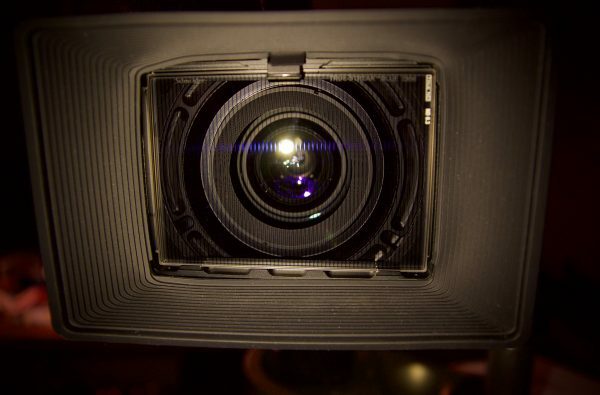 When using a +1 diopter, one additional 4×4” or 4×5.65” can be mounted into the frame. 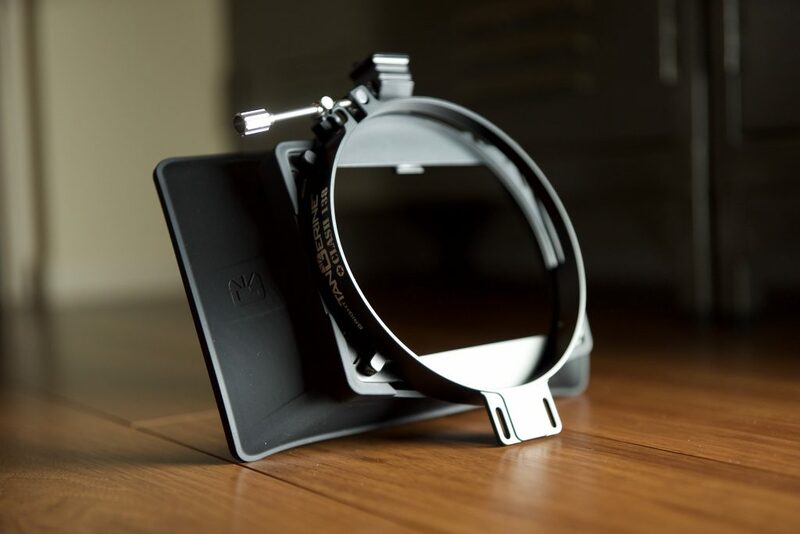 If you are using a +2 diopter, no additional filters can be mounted due to the thickness of the diopter. 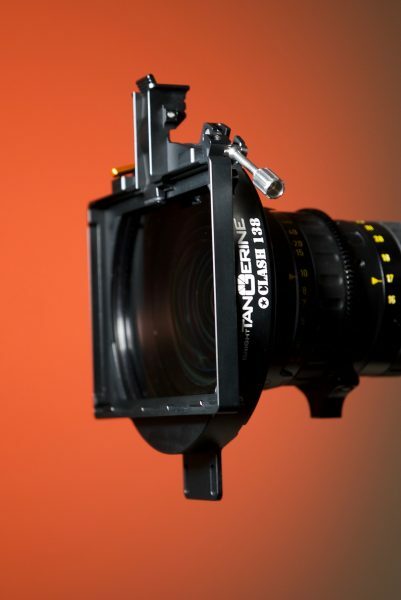 A +3 diopter can be used with the Clash 138 using the rubber bellows donut or Black Hole. I tried out the Lindsey Optics 138mm Brilliant Diopter +1 in the Clash 138. This diopter worked really well and it is nice to be able to reduce your lenses close focus ability without sacrificing optical quality. I’ll do a separate article that looks specifically at diopters. If you’re shooting anamorphic, the Clash 138 supports +1 and +2 diopters using the Rota Ring. Just mount the filters in the Rota Ring and you are good to go. Using diopters with anamorphic lenses makes a lot of sense as anamorphic lenses don’t tend to have a short minimum focus distance. To save time, additional Rota Rings can also be purchased separately so you can have a range of filters ready to load in straight away. A carbon fibre top flag is also now available which provides protection from the sun or when shooting into direct lighting sources. 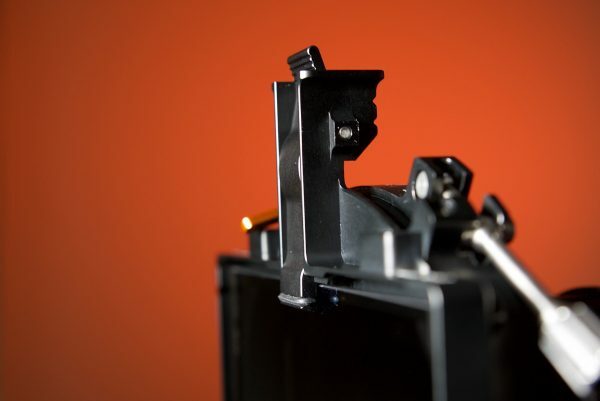 To minimize internal reflections, an optional tilt adaptor can be mounted on the Clash 138 matte box. This additional tilt bracket adds 6 degrees of tilt, for up to two filters. There is also now an ARRI accessory mounting bracket (3/8-16″) which you could use to mount a rangefinder or small LED light. 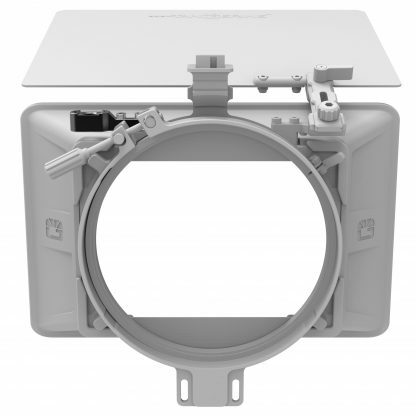 This bracket can be mounted to either side of the Clash 138. I would have liked to have seen an option to attach side flags to the Clash 138. Even if this involved having to buy a different version. I can’t think of any lightweight matte boxes on the market that are similar to the Clash 138 that offer side flags. 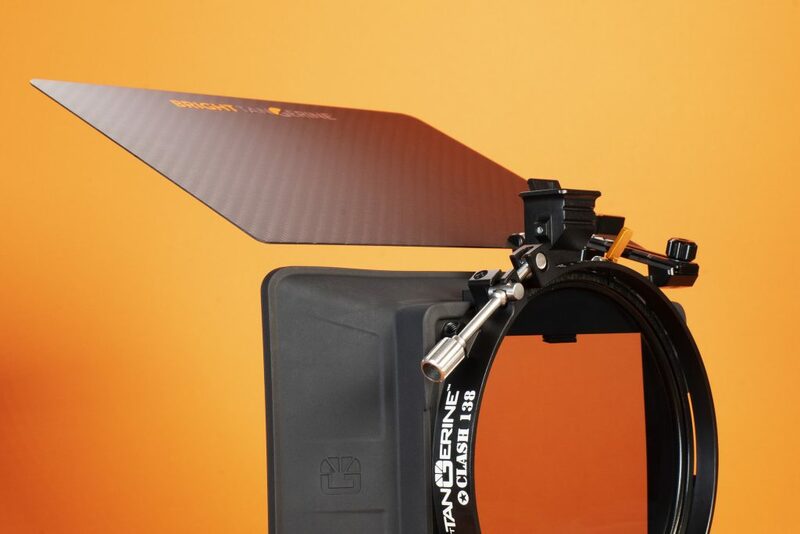 Bright Tangerine also sells a 15mm LWS support bracket for mounting the matte box on support rods, and the Clash 138 can also be adapted for 15mm Studio & 19mm Studio rod formats with additional brackets (sold separately). There is also a Clash 138 Mattebox 15mm LWS Kit available. I tried out the Formatt 138mm Circular Polarizer Filter that is made from Schott-Desag B270 Crown Optical Glass with the Clash 138. Formatt claims that the filter provides absolute consistency in color and density to Kodak Wratten standards. Formatt also says that the filter is manufactured using precision grinding and polishing that results in optical flatness so the filter will work even on ultra-long focal length lenses. I found the filter to be well made, and most importantly it didn’t seem to noticeably affect optical quality, even when used on long focal length lenses. In some regards, the Clash 138 is a bit of a speciality item and it may not be everyone’s cup of tea if you are looking for a matte box. 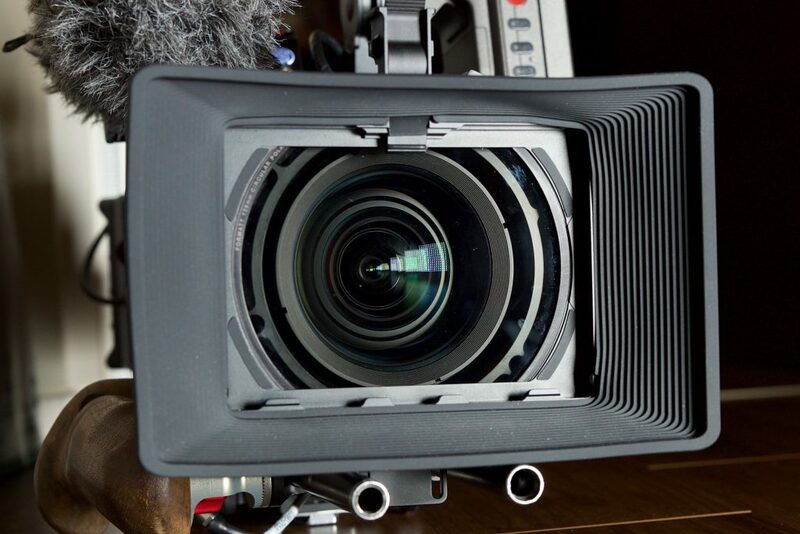 But in saying that, it is a very versatile matte box that can be used for a variety of different shooting scenarios. If you are looking for a lightweight matte box for gimbal use or a clamp on solution to run a circular polarizer then it makes a lot of sense. It’s also a nice option if want to run a combination of a circular polarizer and a linear polarizer to create a variable ND, or if you want to use run speciality 138mm filters such as diopters. The Clash 138 is well thought out and made. My only real complaints are that the 138mm rotating filter ring is a little sticky and not that easy to rotate, and the front mounted filters are a little tricky to take out. With a small footprint and low weight, you can easily just keep it in a bag and pull it out anytime you might require a matte box. The ability to fold down or remove the sunshade altogether in a matter of seconds is also a nice touch. Overall I think Bright Tangerine have made a good product that just works and lets you get on with the important process of shooting.